Staff Selection Commission has released the Exam Calendar or Tentative Schedule for Examinations to be held in the year 2016-2017. 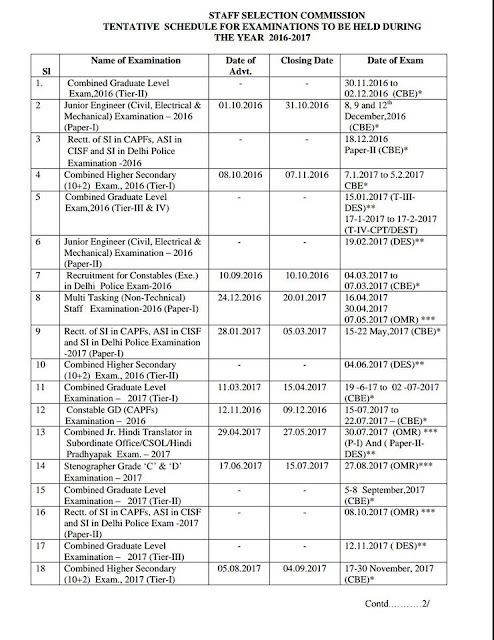 The screenshot of the calendar has been attached below. You can check the dates of various upcoming exams of SSC. 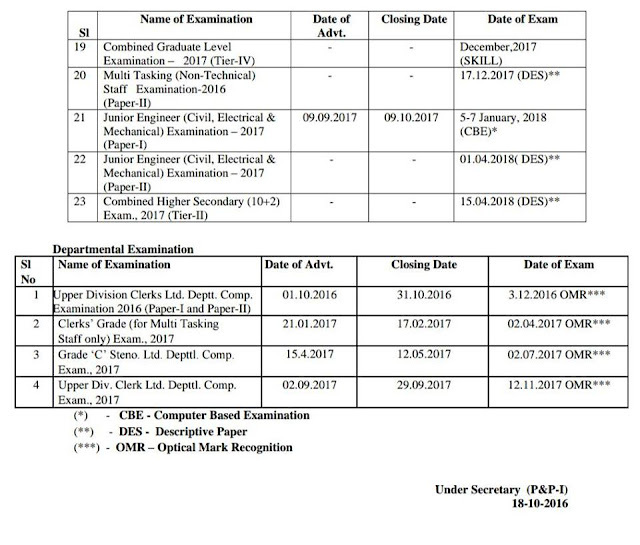 As per this Calendar, SSC CGL Tier-2 2016 will be conducted from 30.11.2016 to 02.12.2016 whereas Tier-III and IV will be conducted from 15.01.2017 & 17-01-2017 to 17-02-2017. You can download the official file by clicking on below given link.